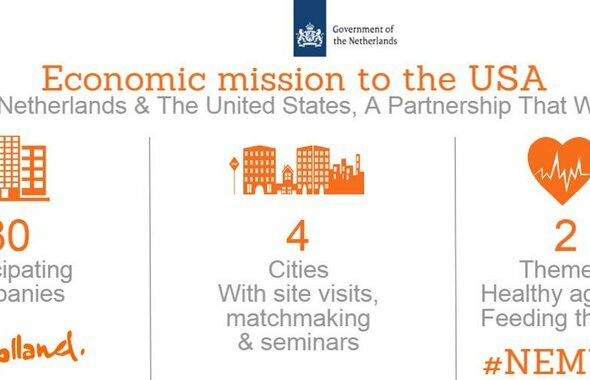 In cooperation with the Dutch Foreign Office we organized the trade mission to Detroit of May 2015 for over 25 organizations. 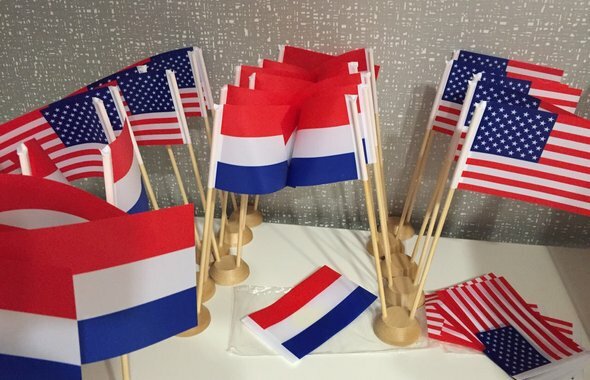 The program established new permanent business partnerships of Dutch agri- and horticulture, and innovation companies with their American business, governmental and community development counterparts. Detroit, a former powerhouse of the automotive industry, has suffered from deindustrialization, a decline in population, an increase in crime, and general decay. Yet, Detroit is a city full of resources and opportunities. 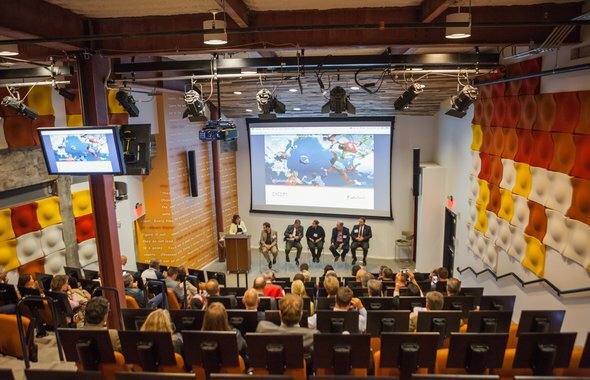 The event launched Detroit Urban Regen which aims to revitalize the city using smart agricultural solutions and creating a new biobased industry. 22 written pledges of commitment where secured, adding to the existing 15 international partners for Detroit Urban Regen. 25 organizations from the Dutch agriculture, food, and greenhouse technology sectors visited Detroit on May 31, 2015 on a trade mission led by Simon Smits, Vice Minister for Foreign Trade of the Netherlands’ Ministry of Foreign Affairs. The mission was part of the official visit to the United States of Majesties King Willem-Alexander and Queen Máxima of the Netherlands. At the mission, the Detroit Urban Regen project launched, forming the basis of new partnerships between Dutch and American organizations. Mr. Smits, welcomed Detroit Deputy Mayor Isaiah McKinnon, Maureen Donohue-Krauss from the Detroit Regional Chamber, and Ton Akkerman, Agricultural Counsellor of the Embassy of the Kingdom in the Netherlands in Washington, D.C., supporting the Detroit Urban Regen project. The trade mission introduced 36 people representing 27 innovative Dutch companies in the agro and food sector to 23 representatives from Detroit’s businesses, governmental and non-profit community. Participants of the trade mission included Dutch and American organizations in seed production, food production, food processing, food retail, horticulture design and implementation, community initiatives, and city development projects. Participants enjoyed a tour of Detroit, while matchmaking and workshops laid the foundations of new business relations working on various initiatives, challenges and opportunities in Detroit. The day concluded with a round table discussion on upscaling urban farming, vertical farming in abandoned buildings, big data in agriculture, and urban regeneration. Participating in the discussion were Jill Ford of the Mayor’s Office, Kenyetta Bridges of the Detroit Economic Growth Corporation, Eastern Market’s Dan Carmody, Auday Arabo of AFPD, Tom Bosschaert of Except, and Simon Smits of the Netherlands' Ministry of Foreign Affairs. The Detroit Urban Regen project was introduced by a film about cooperation between Detroit and the Netherlands. 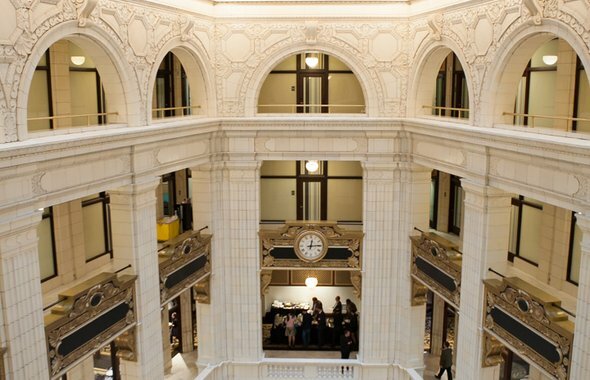 Support for the Detroit Urban Regen project was overwhelming. Participants expressed all-round enthusiasm about the project’s goal of investing $40-60 million to make a new economic backbone in Detroit. Detroit Urban Regen and its 37 partners continue to work on 6 concrete challenges that were identified during the event, and currently raise funds to create a new, bio-based backbone for Detroit. More details about the Detroit Urban Regen project, the film, and the crowdfunding initiatives can be found on www.detroiturbanregen.com. “Eastern Market is working to re-establish stronger value chains in our regional food economy. 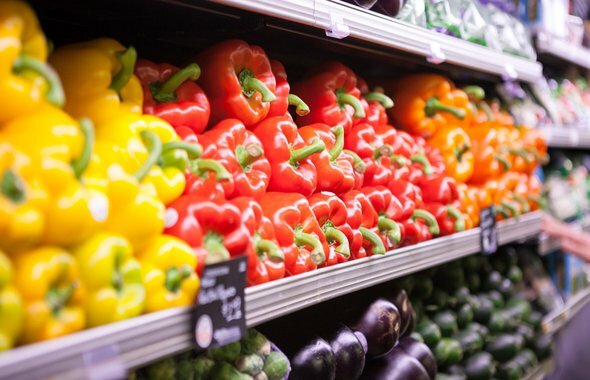 We hope to learn from the Dutch who are global leaders in that arena and we hope to share our work at leveraging public markets to foster greater food entrepreneurism in Detroit,” said Dan Carmody, president of the Eastern Market Corporation.